Free horizontal vector banners with halftone dot design set on light blue gradient background image. 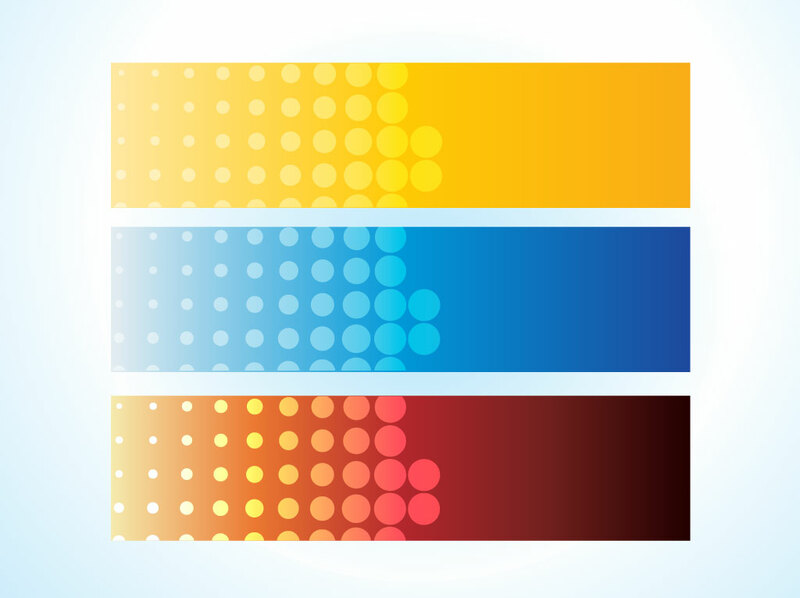 Dotted graphics come in yellow, blue and red color schemes. Bright and colorful digital artwork for your website advertisements, blog headers or digital print indoor-outdoor banners. Tags: Advertising, Blog Header, Internet, Publicity, Vector Banners, Web.